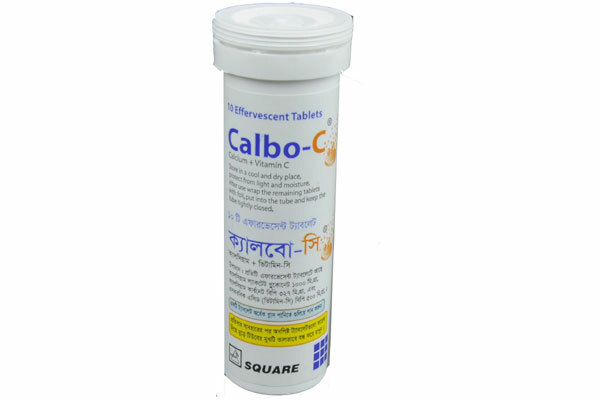 Indicated in - Increased demand for Calcium and Vitamin C, e.g. pregnancy, lactation, periods of rapid growth (childhood, adolescence), in old age; During infectious disease and convalescence; Treatment of calcium and vitamin C deficiency; Osteoporosis; Premenstrual syndrome; Postmenopausal problems; Adjuvant in colds and influenza. Adults and children of school age : 1 effervescent tablet daily, Children 3 to 7 years : 1/2 effervescent tablet daily, Infants : As prescribed by the physician. Dissolve one tablet in half glass (100 ml) of water.